These are some of the things I’ve been making ready for my Fimo demonstration at Jarrolds on Saturday. 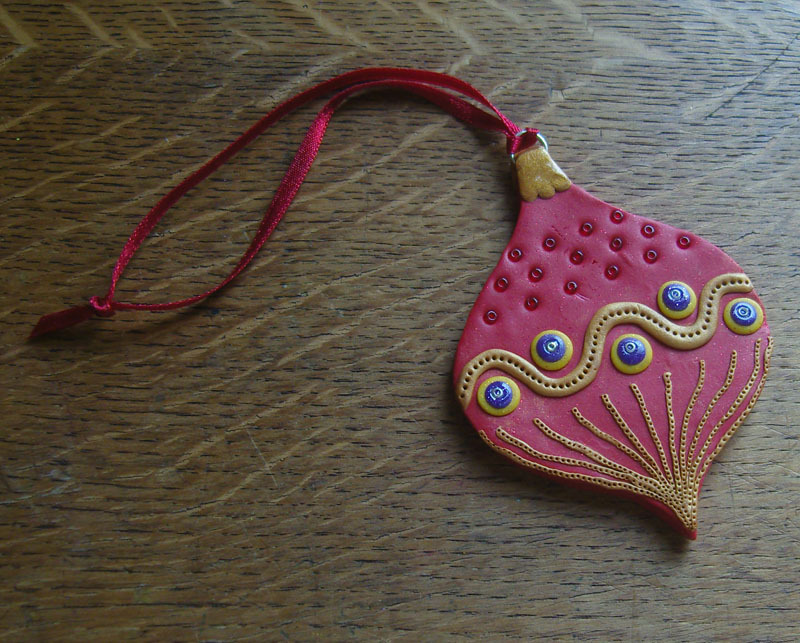 You may notice there’s a bit of a Christmas theme going on… Sorry, I know its only November – I just like making tree decorations! I have used lots of sparky “effect” Fimo here as well as seed beads and I picked out the patterns with a pin. 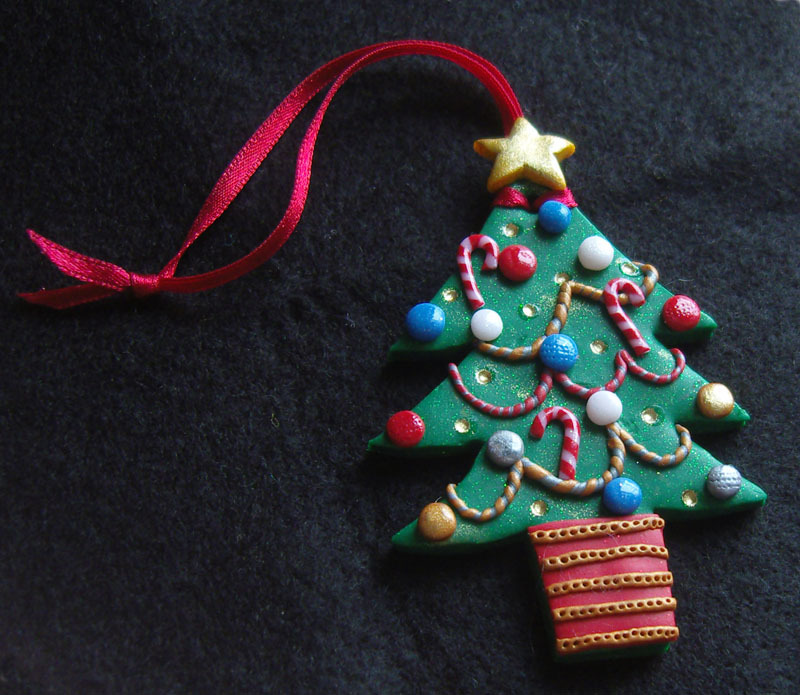 These Fimo baubles are lovely, are they hard to do? Hi Kayleigh, I’m glad you like them! I find making anything flat in FImo is quite a lot easier than making 3D models. It helps a lot if you have either an acrylic roller or a Fimo machine/pasta maker so that you can get the Fimo evenly flat. It also needs to be thick enough to be strong (about 4 or 5mm). I generally cut out the shape with a scalpel and neaten it with a modelling tool, if you lay it on a little piece of tinfoil it makes it easier to work on. 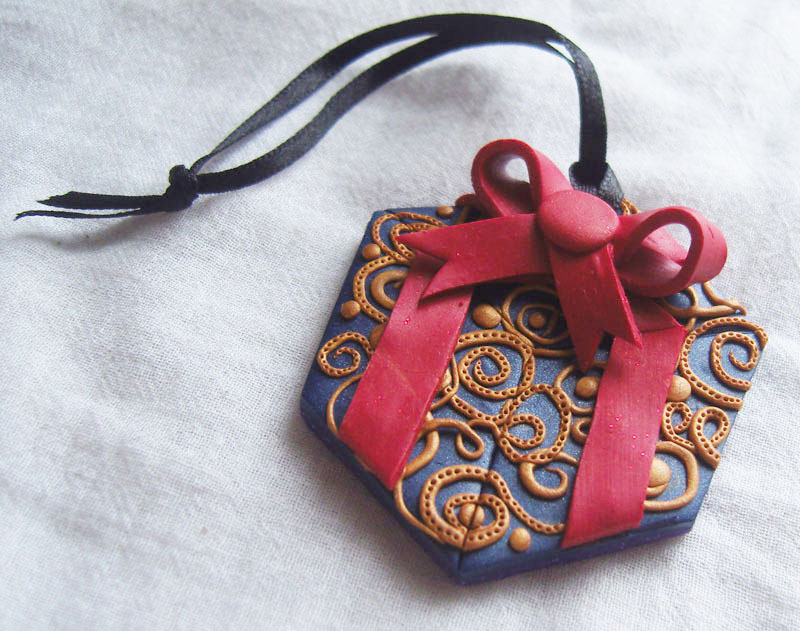 You can decorate your bauble with little blobs of Fimo, long rolled strips, or cut shapes, and you can embellish them further by using a pin or a darning needle to get extra patterns going on. Fimo cooks at 110 degrees C so you can always include oven-safe decorative bits in your design such as seed beads. I love making these sorts of baubles, they can be a bit time consuming when you’re first working out how to do them, but if you work on several at the same time that makes everything quicker. You’ll just have to have a go and see if you like it – have fun!